On this date in 1924, just two days after his sentencing, Japanese student Namba Daisuke was hanged for attempting to assassinate the the future emperor Hirohito. It was a pretty simple case: no doubt he’d done it, and no sympathy for the assailant. The act shook Japan so deeply that Namba’s prosecutors stuck to the story that the offender must be deranged — even though he clearly was not. Under the circumstances, that wouldn’t cut enough ice to mitigate the sentence anyway. Daisuke has made a blot upon Japanese history. He believed in violence and had determined to kill the Prince Regent. He committed a great crime in attempting to injure the imperial family, which has never oppressed the poor. Long live the Communist Party of Japan! As is often the case, the gesture of violence against the established order provoked a still more repressive crackdown. The Prime Minister resigned for the security lapse, to be replaced a more conservative government that pushed through the radical-hunting measures of the Peace Preservation Law. Simple enough as far as the assassin goes. Let’s take a sideways turn into a digression from the blog’s macabre daily fare to ponder a strangely pleasant ripple effect of this young man’s shot. According to Ben-Ami Shillony’s Politics and Culture in Wartime Japan, the incident forced the resignation of a senior police official charged with keeping an eye on subversives. This gentleman, Matsutaro Shoriki, transitioned into a career as a media mogul, building up one of the country’s most prominent papers. 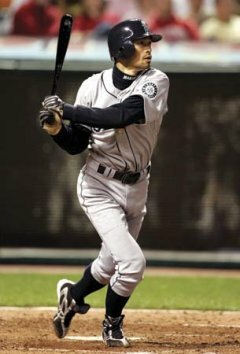 In that capacity, he took to promoting baseball in Japan. Though this imported sport had an existing — and growing — popularity from the first decades of the century, Shoriki became the father of Japanese baseball by sponsoring American all-star teams to play on Japanese tours and creating the country’s first professional baseball team. Shoriki even survived an assassination attempt of his own, at the hands of a nationalist who thought bringing Babe Ruth to the Land of the Rising Sun was treasonable. Today, he’s remembered generously and his name adorns one of Japanese baseball’s major awards. But if not for Daisuke Namba’s shot, he might have served those years moving paper in the tokko, trying to ferret out dangerous elements. * The father had to resign his seat in the Diet, of course; not only his immediate family but his former schoolmasters and his whole hometown were put under the pall. 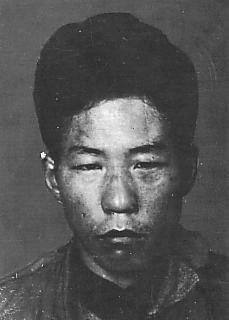 According to Time, Namba’s relatives were formally released from their debt of shame by Hirohito in 1926, and took the unblemished name Kurokawa. ** Hirohito did not become Emperor until his father’s death in 1926.